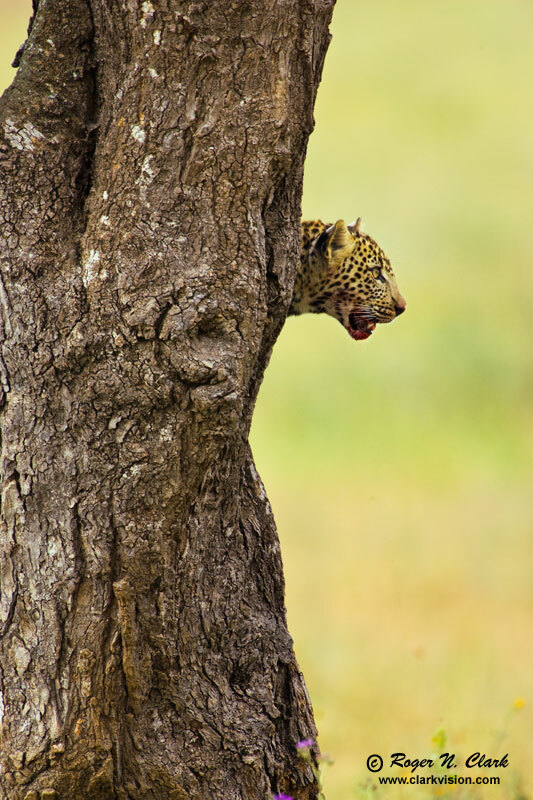 This leopard cub was climbing a tree after feasting on an afternoon meal in the heart of the Serengeti in Tanzania, Africa. Technical: Canon 1D Mark II 8-megapixel camera, Canon 500 mm f/4 L IS lens plus a 2x teleconverter giving 1000 mm at f/8. Exposure: 1/125 second at ISO 400, f/8. Full image, no crop.